Dobro došli! Welcome! It’s officially the start of WKU’s International Year of Bosnia and Herzegovina and the flag for Bosnia and Herzegovina is waving at the Kentucky Museum! 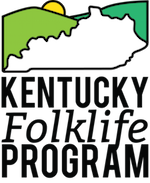 Here at the Kentucky Folklife Program we’re putting the finishing touches on our exhibit, A Culture Carried: Bosnians in Bowling Green, and also planning monthly programming for the coming year. We hope you’ll join us for our exhibit opening on September 29, 2017 from 5-7pm. Keep in mind there’s a many other events planned on WKU’s campus by other departments. For a complete roster of events on campus, make sure you keep an eye on the Office of International Program’s featured calendar for IYO Bosnia. We’ll be sharing more information about our calendar for the year as it is finalized. Happy new school year everyone!